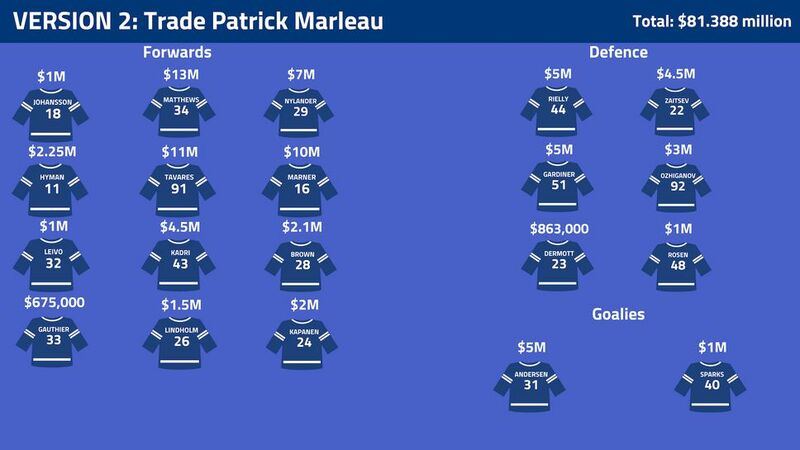 Here is a look at a 2019-20 Toronto Maple Leafs lineup, assuming an $84.5 million cap (a $5 million raise over this year). 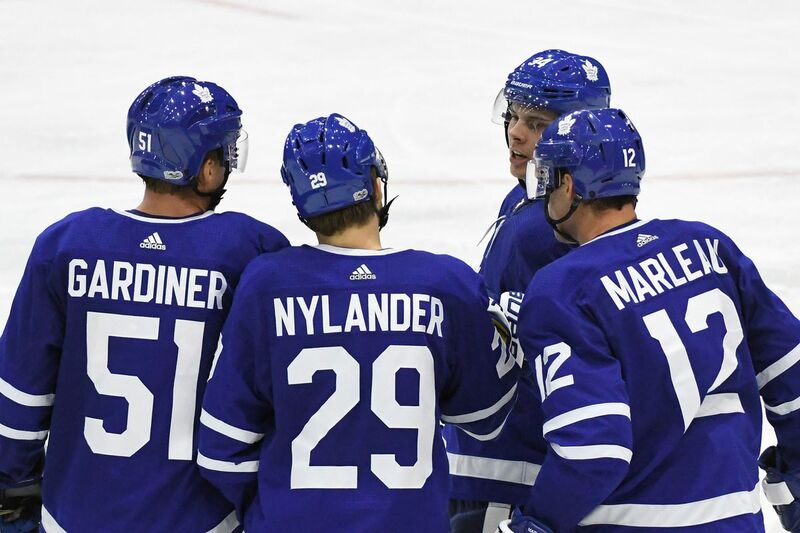 The Toronto Maple Leafs can have Auston Matthews, Mitch Marner and William Nylander signed but they’d have to cheap out on defence by letting Jake Gardiner go, or find a way to trade Patrick Marleau and his $6.25 million contract. Easier said than done if Marleau doesn’t want to leave, given his no-movement clause. The above Toronto salary cap prediction assumes players like Josh Leivo, Cali Rosen, Timothy Liljegren are interchangeable with other Marlies or cheap free agents. It also assumes a raise for Ozhiganov, who may or may not pan out. And Kasperi Kapanen coming in at Connor Brown type money. Same assumptions for the role players. This is a roster of 20, so some other Toronto Marlies or cheap free agents can be added. 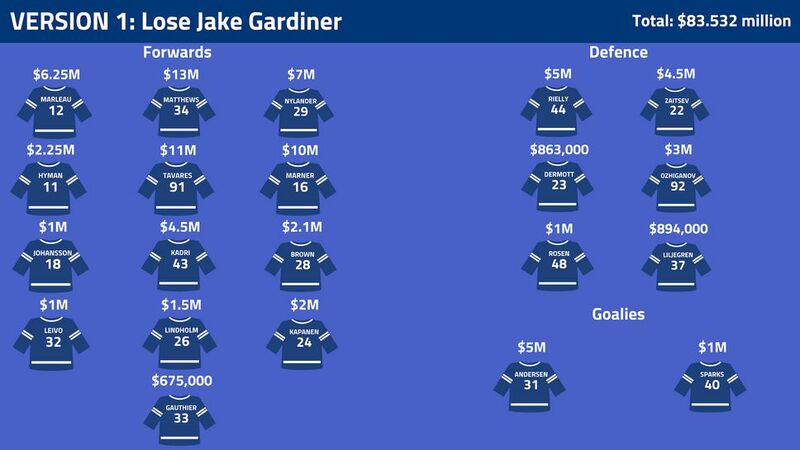 There’s also wiggle room for Jake Gardiner to take more, but if he stays, he could take that so-called hometown discount and not passing Morgan Rielly on the pay scale.